World of Goo is an awesome game. The first thing I did after downloading it was look for instructions. But there are no instructions. You just start playing and the rules become obvious. The graphics are sweet and the music is more like a movie score than a video game soundtrack. It's like if Tim Burton wrote a video game. A video game about balls of goo. 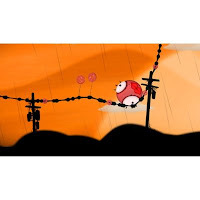 World of Goo is available as both a computer game and a Wii game, but I highly recommend the Wii version. You can get the game code from Amazon and download it straight from WiiWare. I can't tell you too much more. The joy of the game lies in unfolding the the story level by level. For that reason, I recommend not reading any reviews. Just buy the game and start playing it. Do it. Do it immediately. Seriously, what else are you doing? You're just reading some stupid blog. Stop reading. Play World of Goo instead. Lots of things make me angry. Bad grammar. Payday loan companies. Prescription drug commercials. But few things make me angrier than the TSA. Thanks to the government's refusal to admit that making liquid explosives on an airplane is logistically impossible, I can't travel with reasonable quantities of shampoo. So, like every other person whose husband doesn't let her check bags, I must put my toiletries into little 3-oz bottles. This is important because 3 ounces is the limit under TSA regulations. Yes, you can get 2-oz bottles, but that's suboptimal. Why would you want 2 ounces of something when you can have 3? This is America. This is even more important than a travel bottle's capacity because it gets to the essence of what defines a good bottle. Aristotle once wrote something about how the way for a chair to be the best possible chair is to be the chairiest chair in the world, excelling in all the things that make a chair a chair. * That means that for a bottle to be the best possible bottle, it needs to excel in bottlehood. According to dictionary.com, a bottle is "a portable container for holding liquids," so good bottles are really good at holding liquids. Containers that don't hold liquids include sieves, wicker baskets, and reusable canvas shopping bags. None of these things are running around claiming to be bottles. Yet the plastic thing from Walgreens that can't manage to hold 3 ounces worth of moisturizer without leaking all over the inside of my quart-size plastic zipper bag claims to be a bottle. Don't let the name fool you. According to reviews I've been reading, no travel bottle on the market today meets my two criteria, so I've decided to settle. 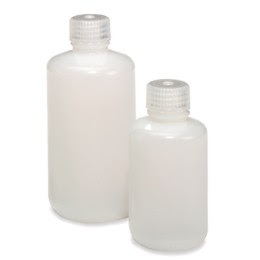 Nalgene refuses to manufacture 3-oz bottles, but at least they're guaranteed not to leak. Before the stupid liquids ban, I had several Nalgene travel bottles (though they were all over 3 ounces). I can attest to the fact that Nalgene bottles do not leak. Ever. You can get sets of them on Amazon, but the Container Store sells Nalgene travel bottles individually so you can mix and match. Don't tell the TSA, but I might get the 4-oz bottles and try to sneak them through. *I'm paraphrasing a lot here. I might also be making it up. Telling time is lame. Seriously, clocks with hands to tell time have been around since the 15th century. Do you think people would have created those clocks if they had magical technology that would simply write down the time for them in plain numbers? Of course not. Yet we still use stupid analog clocks. We all have to learn how to tell time based on angles. And ten years after we learn that, we all have to do a bunch of math problems based on the ability to tell time. The angle between a clock's hands at 4:13 is useless knowledge. And don't even get me started on analog clocks with no numbers. Who came up with that? I don't know for sure, but I'm guessing he or she works at the airport. All this pointless analog-clock-related knowledge is taking up space in your brain that could be filled with other, more important things. Like Esperanto. Or tarot-card reading. Or lists stuff to buy through affiliate links. Also, how many meetings do you have that start at 5:30ish? How frequently do you have to catch a train at 6:22 or so? I can't tell you how many times I've seen someone who's wearing a watch pull out a cell phone to check the time. You know why they do it? Because analog watches are useless. So I buy digital watches. 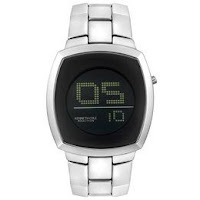 Very few decent-looking digital watches exist, which is ridiculous. Surely I am not the only person out there who both a) lives in the 21st century and b) is neither a jogger nor a rubber-watch aficionado. I found this Kenneth Cole model a few years ago at Century 21 in New York and I wore it up until the battery died (I continue to be too lazy to replace it). It's technically a men's watch, but I can attest to the fact that it does not look manly. I know your first urge is to make fun of me because I can't tell time, but seriously think about it for a minute. Analog watches are for suckers.